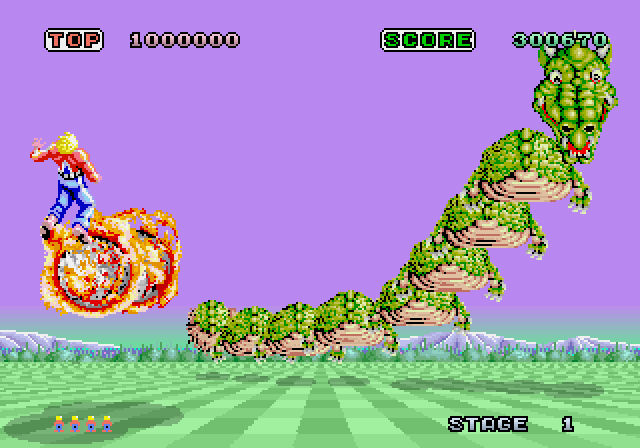 A pretty new game style was introduced with Space Harrier. While we had seen 'semi 3D' depth scrolling games before, this was different. 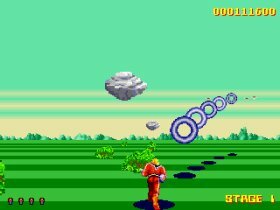 The action in Space Harrier was (and is) intense, shooting forwards, away from the character whilst having a sort of 3D feeling to it. Roderick Rivero brought us this remake for Windows and it's a killer. The game really brings back the old days. And as Space Harrier has been remade for so many platforms, there must be lots of fans still. 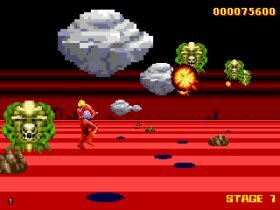 Don't wait, download and enjoy this free remake of Space Harrier for Windows. Currently rated: 4 / 5 stars by 22 gamers.